If you've read my blog for a while you'll probably know I'm a huge candle fan, I'm just obsessed and literally have a candle burning everyday in my house because not only does my house then smell amazing everyday but I find candles are just so inviting and homely. I've recently been testing out the Partylite Blackberry Boudoir Candle from Partylite's Forbidden Fruits range so of course I thought I'd share my thoughts with you all today. The Forbidden Fruits range is perfect for any candle lover this Valentines, with four enticing fruit fragrances too choose from with luscious juicy notes and sultry colours they are sure to be a winner. Blackberry Boudoir* (£17.25) is a sensual and sophisticated scent that is super fruity and has rich, deep wild-berry notes with sultry hints of wood and musk in there too, great for someone who likes a fruity scent with a rich twist. The candle itself has a burn time of 50-60 hours which I think is amazing and it really does throw out a good amount of scent, literally minutes after lighting Blackberry Boudoir the scent starts to waft through my entire house and you can really smell it without it being too strong or overpowering. 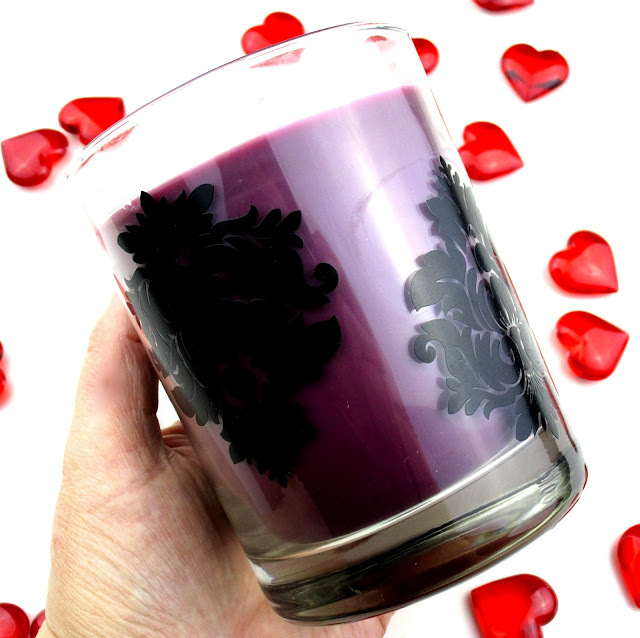 I tend to burn Blackberry Boudoir for around 2 hours and then I blow it out because I find that's enough for the scent to linger in my house for hours afterwards which is a major bonus and means you get so many uses out of the candle. I've also noticed that when burning Blackberry Boudoir that it burns really cleanly, the wax doesn't tend to stick to that side of the decorative glass jar which is another bonus and means no wastage. Overall I'm so impressed with the Partylite Blackberry Boudoir Candle, it really feels and looks like such luxurious candle and makes my house smell absolutely amazing and rather fruity within minutes, I'd love to try Strawberry Surrender or Coconut Caress next as they sound just as amazing as Blackberry Boudoir. Partylite currently have 25% off the entire Forbidden Fruits range, the offer is only valid until Febuary 15th 2016 so take advantage why you can beaut's! 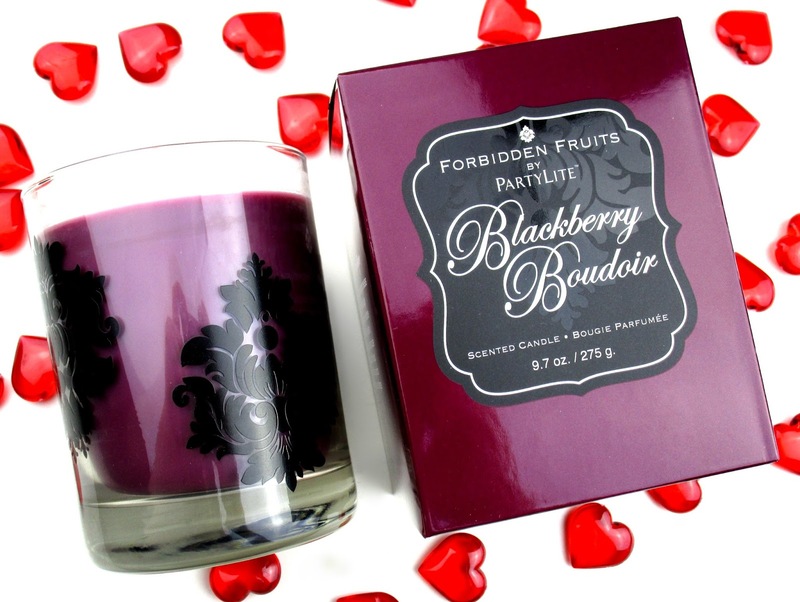 Have you tried any of the candles from Partylite's Forbidden Fruits range? What's your favourite scent? I'd love to know beaut's! Love the design on the glass of the candle! 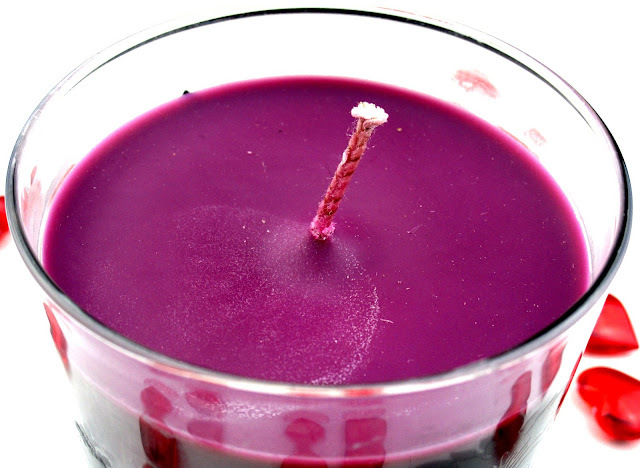 You don't often see blackberry scents but I enjoy richness and depth of them, have you smelt the plum candle from the body shop? Just looked on the partylite site and noticed they've an aloe eucalyptus scent - bet that would go great in the bathroom!